There is a remarkable story in how a 1960s hippie haven evolved into perhaps the densest (per capita) startup community in the United States—and with no small amount of serendipity. A modest-size town of one hundred thousand, Boulder—laced with cozy coffee shops and seemingly endless craft beers—feels like a cross between the laid-back atmosphere in Berkeley and the high energy of Palo Alto in the 1980s. An attractive outdoor lifestyle, a concentration of highly educated STEM graduates in tech-related industries, a “pay-it-forward” culture of inclusiveness, and an accumulation of entrepreneurs and seed venture capitalists are all elements that have catalyzed Boulder’s status as a startup hub. Boulder is now part of a dynamic, larger Boulder-Denver-Ft. Collins Front Range corridor where Google, IBM, Facebook, Amazon, Twitter, and other major firms feel compelled to have a presence along with several hundred startups. 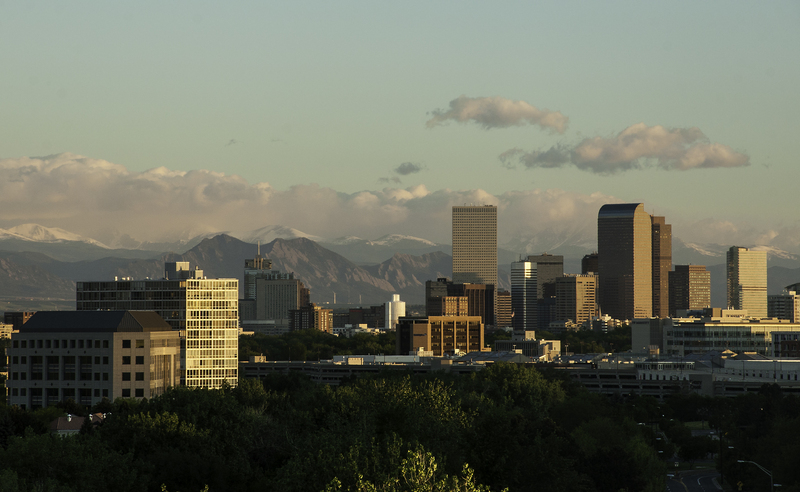 The region’s dynamism helps explain why the US patent office opened a regional bureau in Denver. A series of fortuitous decisions dating back to the 1870s and a dollop of luck help explain Boulder’s success—and its challenges. Shortly after Boulder was founded as a city, the city fathers bought surrounding land to keep the area beautiful, persuaded the state legislature to place Colorado’s first public university there, and donated land and funds to build the campus. The second phase of Boulder’s development was aided by the Cold War, when President Harry Truman decided in 1949 to disperse major government institutions outside Washington. The city fathers bought 211 acres of land, and outbid eleven other cities for what is now the National Institute of Standards and Technology. This was followed by the federal government locating the Rocky Flats nuclear weapons manufacturing complex in the Boulder area. Boulder later became the site of the National Center for Atmospheric Research, and more than a dozen other federal agencies, including the National Oceanic and Atmospheric Administration. The National Renewable Energy Laboratory (NREL), with 2,300 federal employees and an over $700 million impact on Colorado, is also located there.1 This has helped make the region a center for alternative energy research and a hub for clean tech. There are twenty-nine federal labs in Colorado including those around Boulder that—combined with CU-Boulder, a major research university (its biotech program spawned the company Amgen)—provide one ingredient for tech success: an economic talent cluster filled with a creative class of highly educated scientists, engineers, technicians, and entrepreneurs. Along the way, the city took steps to preserve its green, open spaces in the shadow of the Rockies’ lifestyle attractiveness. First, it limited the height of buildings on the surrounding mountains. This was followed in 1967 by a sales tax on purchases of open spaces around the city to prevent development. Boulder now owns ninety-seven thousand acres of green space surrounding the city. It also limited new housing starts to 2 percent a year. "After eight days in Boulder, I felt like I had as many friends as I did in eight years in Palo Alto." After the 2000-2001 dot-com collapse, Feld launched Techstars in 2007, an early accelerator that has since funded nearly six hundred businesses and spun off a dozen affiliates in the US and abroad. Techstars, typical of accelerators, offers those entrepreneurs whose applications it accepts $100,000 in funding for 6 percent of equity, three months of free office space, and, perhaps most valuably, a network of dozens of mentors, Techstars alumni, and potential angel investors.4 Along with Galvanize and other such enterprises, Techstars helped generate the dynamism in the Boulder tech ecosystem. CU-Boulder, however, though a major research university with more than $300 million in R&D grants, has been tangential to Boulder’s startup ecosystem, beyond feeding in talent. CU-Boulder’s numerous institutes might be linked to federal labs and statewide efforts to promote commercialization like the Innovation Center of the Rockies, but the university’s institutes have not enjoyed a reputation for driving tech transfer into the local innovation ecosystem. This is beginning to change. CU-Boulder now hosts weekly tech meet and greets and its STEM and business graduates not only feed the Boulder talent pool, but increasingly are attracted to CU-Boulder because of it. There is an awareness of the deficit and the Atlantic Council’s discussions in Boulder point to efforts afoot both to bolster ties with the tech startup community and to better move its R&D onto a path of commercialization. NREL is another distinct element of the Boulder-Front Range innovation ecosystem. It is the only national lab that does applied (as well as basic) R&D and focuses on commercializing it. NREL is reflective of a somewhat separate subculture of a particular type of tech startup, and of the region, as a clean-tech hub. NREL’s commercialization efforts, both direct and indirect, are embodied in a number of programs. NREL’s Commercialization Assistance Program (NCAP), for example, offers firms with fewer than five hundred employees forty free hours of NREL researcher time to overcome technical problems for renewable energy or energy efficiency technologies. One wind entrepreneur cited NREL test facilities’ help with certification, and said the advantage of NREL’s facilities are one reason clean-tech startups locate in the area. NREL does not do sole commercialization, but engages in its own entrepreneurial activities through technology transfer partnerships—currently 696 of them. These partnerships with small and large businesses, federal entities, and nongovernmental organizations contract for technical services and/or commercializing NREL-created technology in exchange for royalties or in some cases equity shares, depending on whose role is dominant in the patent or the licensed technology (with royalties going to NCAP or other NREL innovation activities). For a variety of reasons, however, some self-imposed and some structural, Boulder is unlikely to be more than a microcosm of Silicon Valley. Boulder’s commitment to lifestyle, open spaces, and building restrictions are already beginning to show signs of strain. Real estate prices, though nowhere close to the average home in Palo Alto ($2.48 million) or San Francisco are edging upwards, with the average home costing over $729,000.6 This is expanding the number of techies that commute from Denver or surrounding suburbs and fostering debates in Boulder about housing limits and building heights. Limits of physical space and of access to venture capital are creating something of a symbiotic relationship between Boulder and Denver. When startups get much beyond two hundred employees, they tend to move to or open offices in Denver. Access to venture capital beyond Series A level ($5-$15 million), for which there are barely a dozen sources, similarly makes it difficult to scale-up startups. Many suggested that the presence of a $1 billion “brand” firm, like Facebook or Twitter, might change the equation vis-à-vis venture capital. The likely keys to sustaining and enhancing the Boulder-Front Range tech startup dynamism (and lifestyle attractiveness) are the following: 1) better transport infrastructure (e.g., fast rail that shortens commutes from Boulder to Denver and surrounding areas) that would create more of an integrated region and 2) more interaction if not synergy between the universities, federal labs, and offices and the various sub-ecosystems of distinct types of tech startups. Such developments would make the whole greater than the sum of its parts and position the region as a growth magnet. “Economic Impacts and Business Opportunities,” National Renewable Energy Lab, http://www.nrel.gov/about/business.html. This history is detailed in Brad Feld, Startup Communities: Building an Entrepreneurial Ecosystem in Your City (John Wily & Sons, New York, 2012), chapter two. Ibid. Some of this data can be found at Techstars’ website, http://www.techstars.com/faq/. See the Wells Fargo program’s website, http://in2.wf.com. Boulder: Shay Castle, “$1 Million Average Home Price in Boulder? No Way, Says Local Realtors,” Daily Camera, December 1, 2015, http://www.dailycamera.com/boulder-business/ci_29188490/1-million-average-home-price-boulder-no-way; Palo Alto: “Palo Alto Home Prices & Values,” Zillow, http://www.zillow.com/palo-alto-ca/home-values/, data through January 31, 2017.